Click here for another map. 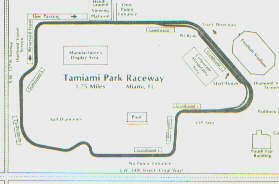 A temporary 1.784 mile track located in Tamiami Park, Miami. 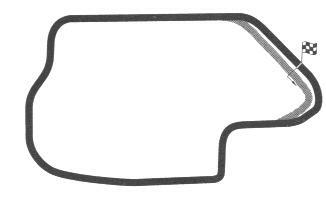 It was used between 1985 and 1988 for Indycar, being used for the 1988 Marlboro Challenge, but never attracted the crowds which attended the downtown IMSA race. The race disappeared for 1989.